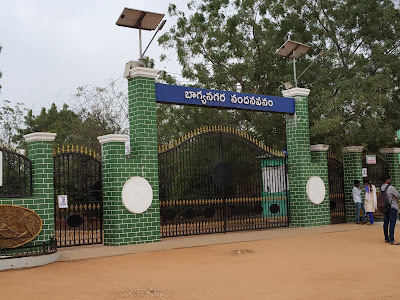 Bhagyanagar Nandanavanam park in Narapally: Hello viewers today I am going to discuss on the view of "Nandanavanam park". 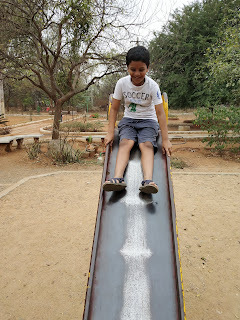 Recently I went to this park it is approximate 7 km far from my home. I feel surprised by seeing the park entrance because of more crowd. This park is maintained by the Govt of Telangana Forest Department and the very peaceful area it located near Boduppal. For vehicle parking: Two-wheelers: 5rs and 4 Wheeles is 10rs. In morning sharp 5:30am park will open for walkers and closing time 9:00am. For walker having a different tariff for monthly, half-yearly and yearly. Based on the tariff you can pay they will provide the membership card. The timing for the normal visitors is 11:00 Am to 6:00 pm. The park seems very good for the walkers. Inside the entrance of the park, we will see the deer idol. 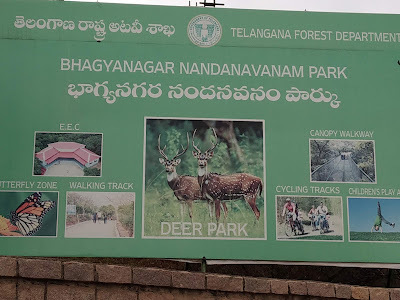 Seeing this idol we can understand that the park has only deers no other wild animals. 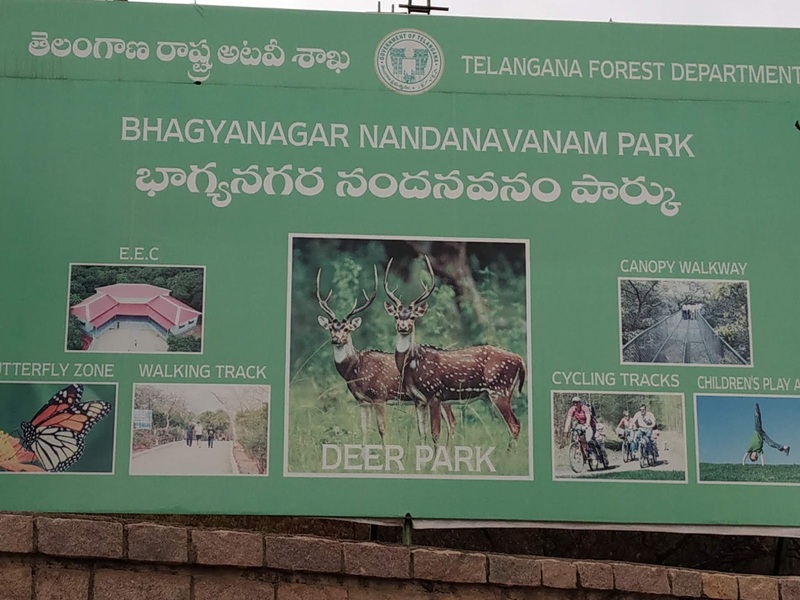 The main attraction of this Bhagyanagar Nandanavanam park is Deers and Canopy Walk. If anyone looking for relaxation then I will suggest this park. 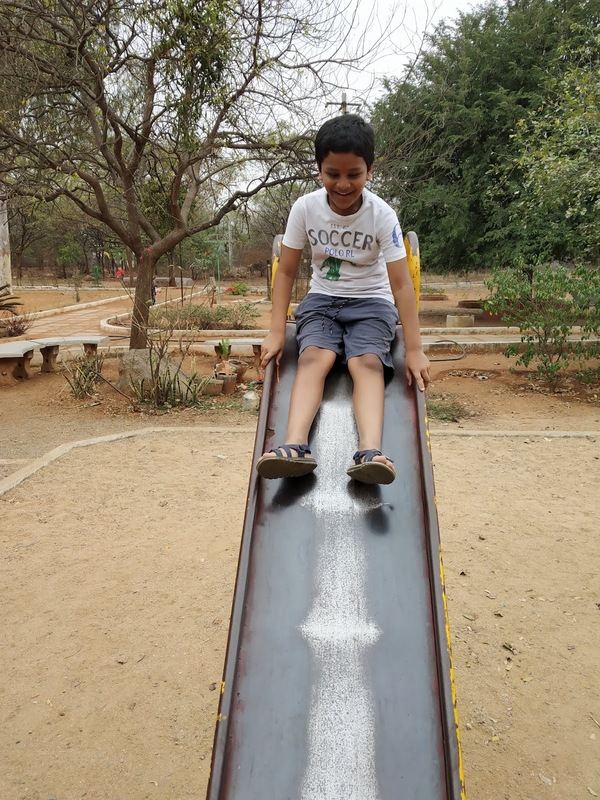 In this article below we have provided the video of Bhagyanagar Nandanavanam park.